The Lucani were a group of Italics who, during the Iron Age, were located in the modern region of Campania, on the western side of southern central Italy. They were neighboured by the Etruscans and by the Hirpini clan of the Samnites to the north, by the Iapyges to the east, the Oenotri and Chones to the south-east, and the Brutii to the south. The Oscan-Umbrian group of which the Lucani were part are largely accepted as being Indo-Europeans (perhaps proto-Celts) who migrated into the peninsula from the north in the eleventh to eighth centuries BC. Strabo and Pliny, along with other ancient writers, claim the Sabini as a division of the Opici. They also state that the Picentes and Samnites were originally tribes of the Sabellians. This was a collective of central Italian tribes during the Iron Age, comprising the Marrucini, Marsi, Sabini, and Vestini. More specifically, the Picentes and Samnites may have been a division of the Sabini. Writers frequently link one to the other, sometimes referring to the Samnites as Sabellus, seemingly as an umbrella term for their origin. From the Samnites were descended the Lucani, and from the Lucani the Brutii. They originally settled in the modern region of Basilicata, on the 'arch' of Italy's 'boot', at the northern end of the Gulf of Taranto. 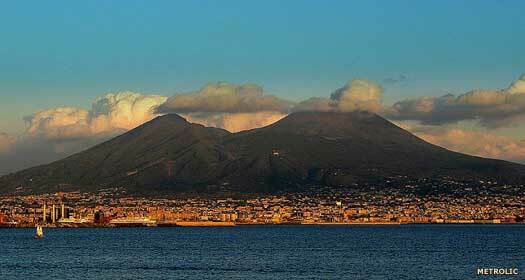 Displaced by the Oenotri and Chones around the start of the seventh century BC, they migrated north-westwards, into Campania. According to Strabo, they operated a democratic form of governance, with a dictator being elected during times of trouble, similar to the system used in republican Rome. Pliny the Elder divides them into individual tribes named as the Atinati, Bantini, Eburini, Grumentini, Numestrani, Potentini, Sontini, Sirini, Tergilani, Ursentini, and Volcentani. Their language came from the Oscan-Umbrian group of Indo-European languages (P-Italic), which were widely spoken in Iron Age central and southern Italy before the rise to dominance of Latin (Latin itself was a slightly more distantly related language, coming from the Indo-European Latino-Faliscan group, or Q-Italic). The characters they used on their coins in the fourth and third centuries BC were Greek, showing the influence they had received from the coastal colonies of Magna Graecia. The origins of the Lucani name are obscure, but two theories are popular. Either the name is related to the Latin word, 'lucus', which means 'sacred wood', or it derives from the Greek word for wolf which was in use by the Sabellians (probably via the Greek colonies in southern Italy). Totemic names such as this are known to have been used by other tribes across Europe at various time, with the Picentes being another probable Italic candidate. A misinterpretation of a simple line of text in Pliny the Elder can lead some to assume that the Lucani are named after a leader named Lucius. Legendary founder of the Lucani (but see c.550 BC). According to Thucydides, the arrival of the more warlike Oenotri and Opici in northern Calabria triggers the migration of the Elymi, Itali, and Siculi into the 'toe' of Italy and onto Sicily. Antiochus of Syracuse, writing around 420 BC, confirms this. The migration would seem to be the trigger for the Lucani to enter the modern regions of southern Campania and Basilicata. Separating themselves from the main body of Samnites, of which they are a part, they form a new group in southern Italy. The Oenotri are pushed out of their settlement at Metabon on the Gulf of Taranto by Greek settlers who found the colony of Metapontum on the site. The Oenotri are forced to move inland, and it is probably at this time that they infringe on the territory of the Lucani. The Chones, similarly pushed off the coast by the colony of Sybaris, would also appear to infringe on Lucani territory, as Strabo later writes that the land named after the Lucani (Lucania, much of modern Basilicata) contained none of their number. Instead it is entirely possessed by the Chones and Oenotri. The Lucani are pushed north-westwards, buffering against the Samnites. Pliny does not state that the Lucani are named after Lucius. In Book III he merely says '...the Lucani, descended from the Samnites, under their leader, Lucius.' The suggestion here leans far more to a man named Lucius who currently leads the tribe. However, many other, modern sources seem to repeat the tale that he was the original leader of the Lucani without any apparent justification for it, and also ignoring the legendary presence of Lamiscus (see above), so it has to be included here for reasons of completeness. How true it may be, given that Pliny does not directly support it, is open to question. Legendary 'founder' of the Lucani - more probably a later leader. The Lucani score a significant victory when they defeat the Thurii (or Thurians) at a location near the River Laus. 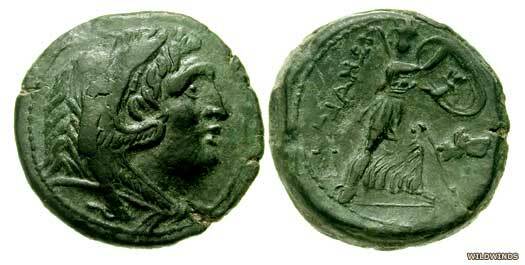 The Thurii had formed a Greek, mostly Athenian, colony on the Gulf of Taranto, close to Sybaris. The Lucani seize the country to the south of the Laus and begin to settle it, but perhaps only sparsely. By this time the Lucani have lost their southern territory to the Brutii. This new group is formed of Lucani members who have apparently revolted and seized the region below the River Laus, close to the Tyrrhenian Sea, and over to the River Crathis, close to the Gulf of Tarentum. At the request of the embattled Greek colony of Taras, Alexander I Molossus embarks with a force of Epirotes, Macedonians and Tarantines to Italy. He fights the Brutii and Lucani, and in 332 BC defeats an alliance of Lucani and Samnites near Paestum. In the same year he concludes a treaty with the Romans and continues battling against the other Italic peoples. He captures Heraclea from the Lucani and then Sipontum and Terina from the Brutii but, having been forced to accept battle at Pandosia (in Calabria), he is killed by a Lucani exile. The defeat is a significant one as it marks the end of any new Greek colonisation in Italy and teaches the Italians how to defeat the phalanx, which is completely outmanoeuvred on rocky ground by the fast-moving Italics. Rome fights the Second Samnite War against the Samnites in 325 BC. During this period the Marsi ally themselves to the Romans, while the Dauni, Iapyges, Lucani, Messapii, and Peucetii side with the Samnites. When the Samnites are defeated, so are their allies, and all of them are subjugated by Rome. According to Livy, the Lucani agree an alliance with Rome. This allows Rome to capture the Greek colonies of Venusia in 291 BC (located in the north of the modern region of Basilicata), and then Poseidonia (Latin Paestum, in Campania) and Tarentum in 273 and 272 BC respectively. The growing power of Rome has saved the Greek colony of Thurii from being overwhelmed by the Italics, but the colony of Tarentum intervenes, sinking some of the Roman ships. 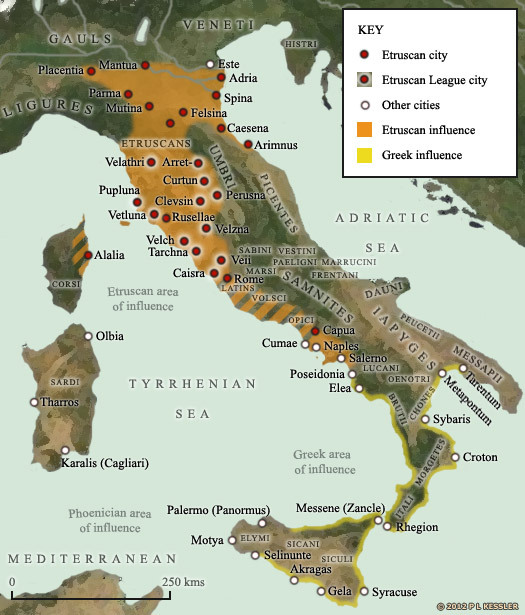 Rome declares war on Tarentum, but Pyrrhus of Epirus declares for Tarentum, as do many of the southern Italic peoples, including the Brutii, Lucani, and Samnites. A few years later these three Italic tribes send auxiliaries to the army of Pyrrhus, but following his withdrawal in 278 BC to conquer Syracuse they face Rome's might alone. In six years of further campaigning, Generals Gaius Fabricius Luscinus and Lucius Papirius inflict defeat after defeat on the Italic tribes until they are subdued (by 272 BC) and forced to concede half of the forest of Sila, which is a valuable source of timber, in exchange for peace. The Second Punic War is fought against Carthage. Rome is aided by its Etruscan, Picene, and Umbrian forces, but Italy is invaded by Hannibal Barca and a Roman army is massacred at the Battle of Cannae, killing 60,000. The Lucani (an Hirpini) side with the Carthaginians, but both the main protagonists ravage the region over the course of more than one campaign during the war. Roman authority is eventually renewed and Lucania declines as a result of the devastation. Along with the Etruscans, Iapyges, Marrucini, Marsi, Paeligni, Picentes, and Vestini, the Lucani fight the Social War against Rome in which Rome's allies strive for, and are eventually granted, citizenship. The Lucani fight against Rome, but their final defeat finishes them off as a people capable of offering any further resistance to complete Roman integration. The region declines generally, with the population of the former Greek coastal colonies becoming reduced and wide swathes of land being abandoned to pasture and forest growth. Commanded the Lucani during the Social War. A slave named Spartacus leads a slave revolt in southern Italy. His numbers are swelled by more and more slaves joining his forces in what is known as the Third Servile War, but he is eventually defeated by Crassus in battles at Brundisium, Lucania, and Silarus. Over six thousand slaves are crucified along the Via Appia. Pompey gains the final victory over the remaining slave force and the credit in Rome, while Crassus is almost forgotten.